Power forward into 3D visualization. Model data with striking clarity in every dimension. 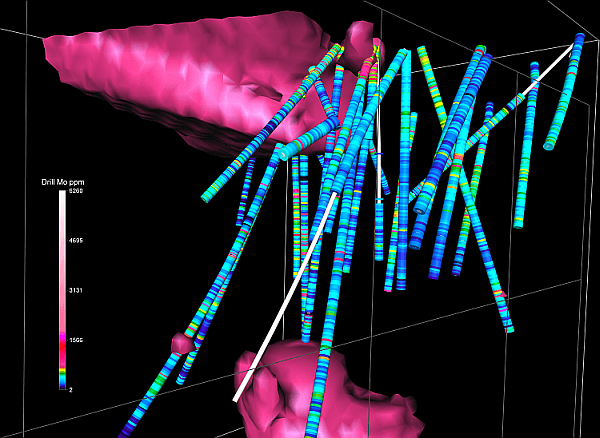 With Voxler’s extensive 3D modeling tools, it is easy to visualize multi-component data for geologic and geophysical models, contamination plumes, LiDAR point cloud, borehole models, or ore body deposit models. Distinguish areas of interest, highlight important information, and easily communicate your newfound knowledge to stakeholders in three dimensions. 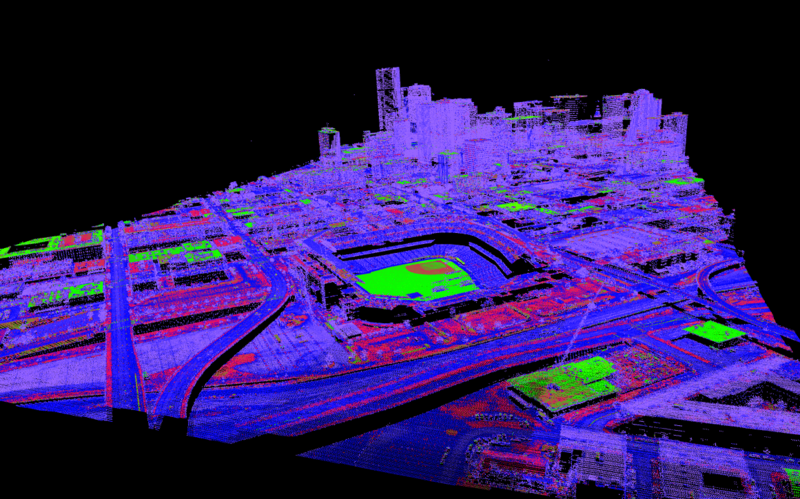 Voxler makes the creation of high-quality 3D data visualizations possible for a small fraction of the price you'd expect to pay. Explore the depths of your data. A wealth of information at your fingertips waiting to be discovered. 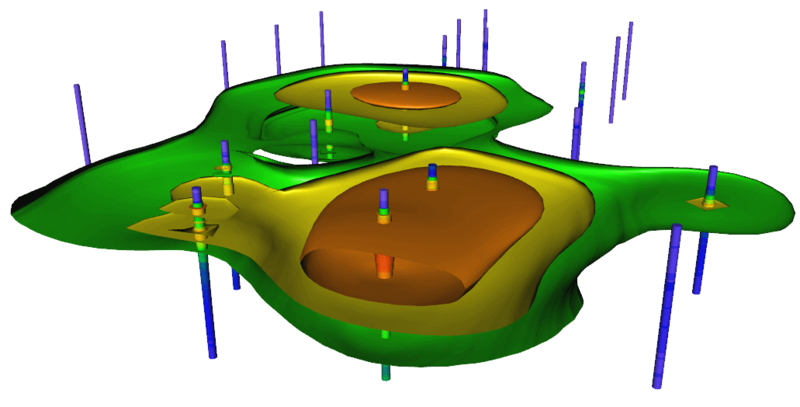 View your Voxler model from any angle to pinpoint anomalies and discern patterns and trends. Use Voxler’s extensive analysis tools to discover new business opportunities for you and your clients. Discover the value of your data with Voxler. I am using Voxler as a central tool for both explorative 3D data analysis and visual communication of geoscience simulation/modeling results. Communicate your results with confidence and ease. 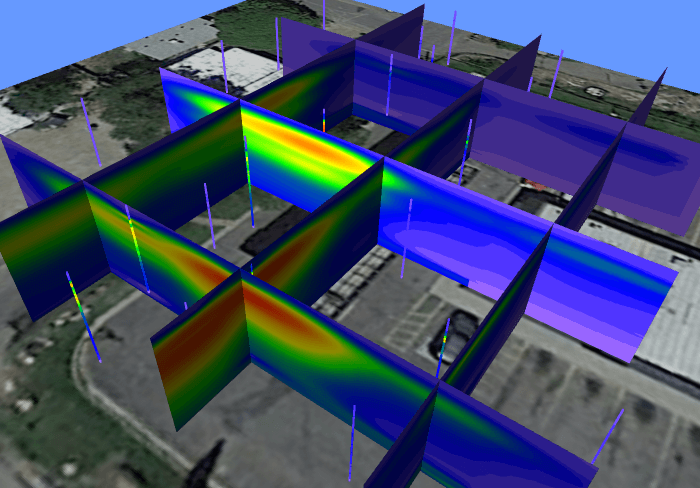 Voxler’s powerful modeling abilities facilitate complete and thorough understanding of data, regardless of complexity. Clearly communicate your message to clients, stakeholders, and coworkers with Voxler. As a small business, I choose Golden Software products because I need to produce graphics that are as good as or better than my larger competitors and to do that at a reasonable cost.